That’s what we heard from one of the locals who volunteered at the 26th edition of the Grand Raid. But why do you just have to ride it? The scenery plays a big part in this race. For us as photographers it’s just a dream. See the pictures below and tell me if you disagree. ‚Oh really? Why do you think it’ll be hard for me? I train a lot, so I can do it‘. That might just be what you’re thinking right now. And maybe you’re right. You train a lot, and yes – of course you can do it. But let me show you some pictures from guys who also train a lot. My guess is these pro riders didn’t see much of the view during the 2 km climb to Pas de Lona… It’s a good thing we’re there as well so you can see what you’ve been missing during the hard work of pedaling and pushing your bike for over 5000 meters of altitude. Think about it, 26th edition. One of the first ‚real‘ mountain bikes was produced by Gary Fisher and Tom Ritchey around 1980 (source Wikipedia). Mountain biking is a young sport, with the first Olympic champion in 1996 (source Wikipedia). 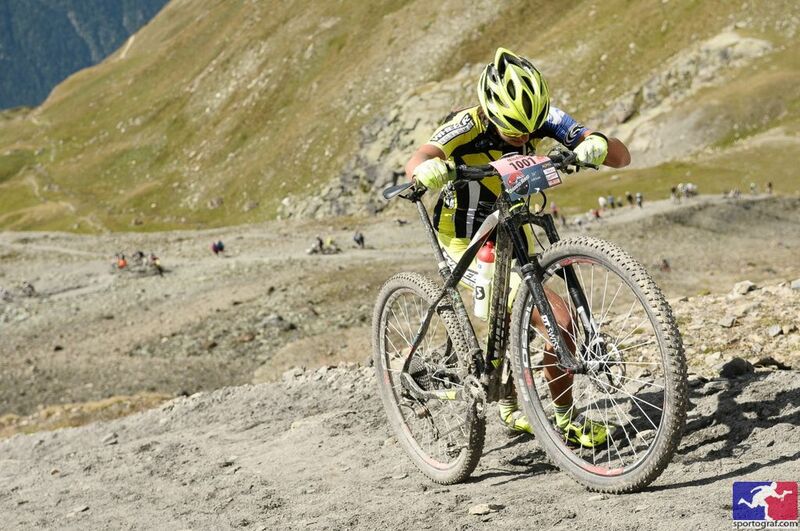 Many people call the Grand Raid the ‚grandmother of mountain bike races‘, a big compliment if you ask me! But… How does all the stuff get up there? 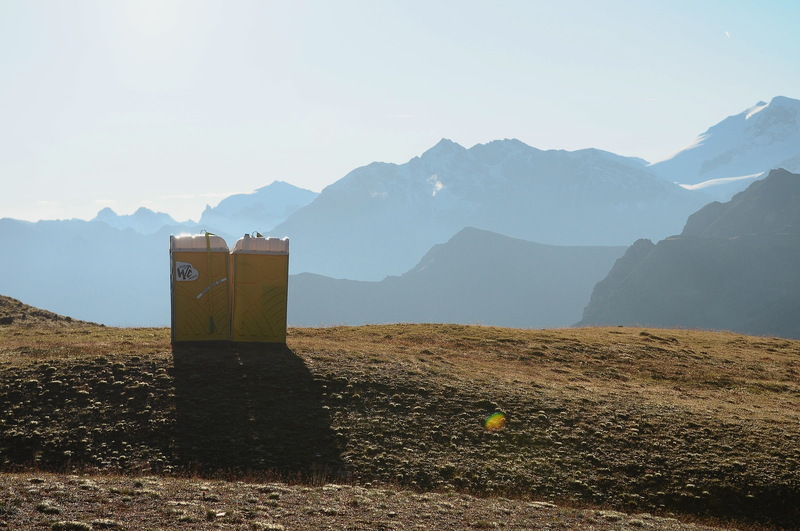 You might not think about it when you’re at the top of the Pas de Lona, but normally there are no toilets there. Or feed zones with fresh fruit, energy bars, cheese and drinks – just like the first aid post and, well, photographers. That’s right! 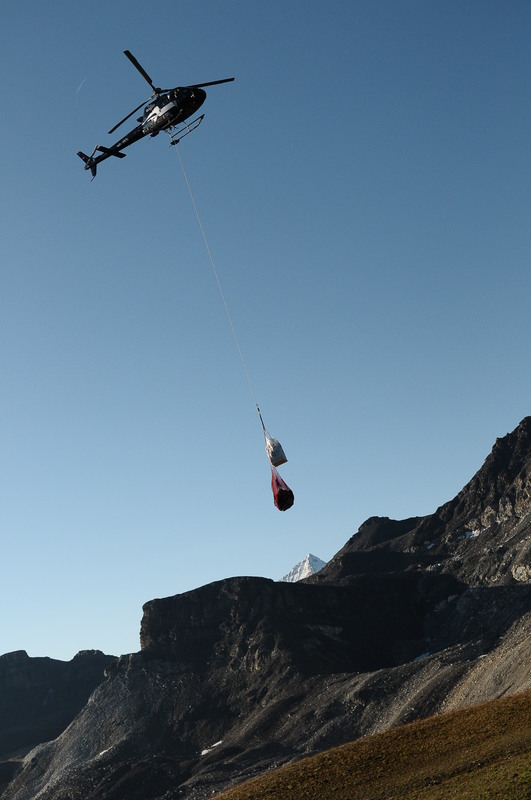 It’s all brought op there by helicopters shuttling big bags and nets with all the stuff you need to make your race into a success. And in between, the people being there for you are shuttled up there as well. It would be an early, early day for them if they all had to pedal up before you guys arrive. So, what are you going to do next year? 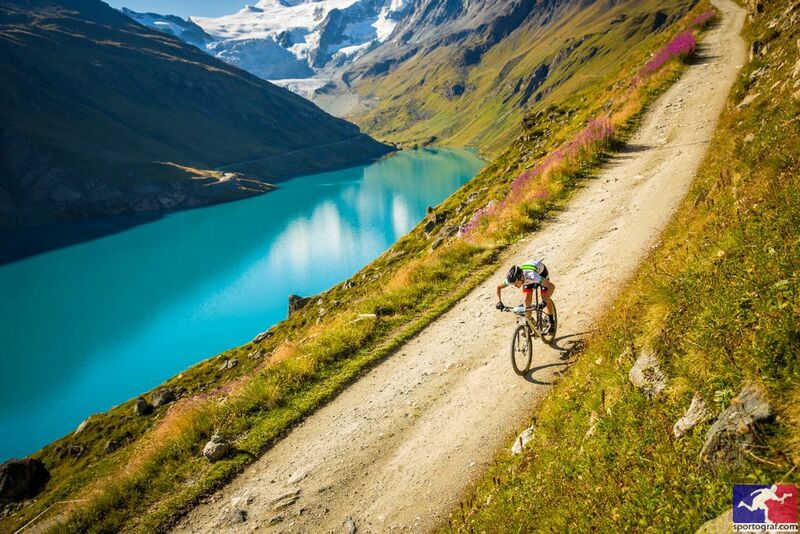 Will we see you suffering at this spectacular race? Because to be honest – it’s probably the best place to go if you don’t mind pushing yourself to some next-level awesomeness. Vorheriges Vorheriger Beitrag: Running in the dark… The night is ours!